It’s that time of the month again when we like to share the kind words our customers are saying about our work and masterful employees. We also want to remind you that our goal is to provide Philadelphia homeowners with the best possible electrical work and we strive to put you above all else. We want to make your experience with us as pleasant as possible because after all, we are the friendly neighborhood electricians. “John B from Generation 3 came out today and installed two light fixtures for us. He arrived promptly. Got set up and got to work! In no time flat he'd finished the job, cleaned up and discarded the trash. Absolutely seamless. Generation 3's schedulers were phenomenal in schedule convenient times, confirming via phone and email. Payment was a breeze as well. 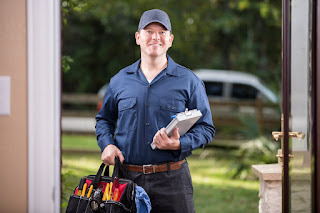 When it comes to electrical service and repairs in Philly and the surrounding areas, GEN3 Electric will take good care of you. We may not be the cheapest in town, but after all you get what you pay for. To schedule an appointment, call us today at 215-512-4102. I am student of electrician course and i like to visit here to collect precious knowledge for my dissertations.superiorpapers.com anyway i am thankful to the writer of this page for giving us most beneficent and interesting knowledge. We heard about this electricians. They are good workers providing Philadelphia homeowners with the best possible electrical work. i like to appreciate your works. There are dissertation writing services helping students to complete their academic papers. They are good writers having deep knowledge. The information provided here was really helpful. Thanks for sharing this outstanding article.The Essay Writing Service USA helps your academic writing papers. Where can I find other qualified technicians? The importance thing of your article is that it is a very short description and this brief description gives a strong message to the people.